The LSN Innovation Challenge is a competition held at every RESI Conference that provides early-stage companies with a unique opportunity to showcase their technologies at a meeting typically attended by 400 – 500 investors. LSN invites thirty top-tier early-stage fundraising companies to pitch their technologies in a poster format at a venue that provides ready access to a range of investors. The RESI Innovation Challenge has become an exciting event at each RESI meeting that attracts a lot of attention from entrepreneurs and investors alike. 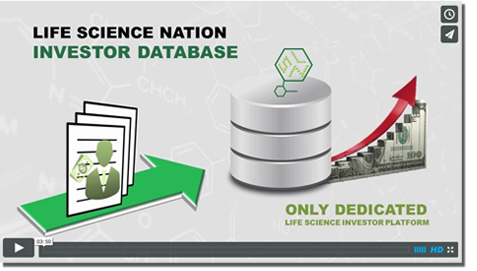 The LSN scientific review team spends a lot of time reviewing applications, that now number in the hundreds, prior to selecting the top thirty. As the Innovation Challenge application deadline draws near (November 18th, folks! ), we thought we would share with you how we select the winners. LSN’s scientific review team has compiled some tips on how to submit a compelling Innovation Challenge application. Keep in mind that, while the following is focused on the Innovation Challenge application itself, the criteria and the tips we provide are also relevant for the fundraising process. Many of the questions we ask are similar to what investors will ask when you are out fundraising. How do you achieve a high score on your application? The LSN scientific review team uses a detailed rubric with a 200-point scoring system. Companies are stack-ranked on their scores and we invite the top 30 to present at RESI. Our evaluation process is based not only on scientific merit, but also on how ready the company is to present to an investor (“investor-readiness”). A high scoring company might have a transformational technology that can address a high unmet need using a novel approach or target. In addition to innovation, differentiation, unmet need, and market fit, investors are keenly interested in a broad IP position, an experienced management team and CEO with top-tier advisors, and strategic alliances with manufacturing and clinical partners (if the company is at that stage). LSN also looks at whether the company has “investor-ready” marketing material (executive summary, pitch deck, website). Lack of clarity will diminish your chances to participate in the Innovation Challenge. Be realistic with your answers. The team frequently reviews applications that don’t adequately highlight the competition. Novel products typically do have competitor’s products that precede them. The key point is to highlight how your technology differentiates itself from competitors. For example, competitors for your disease-modifying therapeutic may only treat disease symptoms. You should identify existing therapeutics and highlight how your technology may offer a disease-modifying alternative. Explain your current company status in detail. Outline your current status, as well as provide your view of the strategic direction of your company. When describing your management team, avoid ambiguous statements such as, “CEO is an experienced entrepreneur”. Instead, provide details that highlight the CEO’s experience – years as an entrepreneur, number and names of companies exited, background expertise, etc. Summarize near-term and long-term strategy. If you do not have certain criteria, such as a strategic alliance or IP, it’s OK. State your current standing and provide what steps you are currently taking to reach that milestone. For Alliances and Collaborations, summarize key relationships – focus on KOLs, medical centers, big pharma, and clinical and manufacturing partners. If there is no signed agreement, stating any verbal relationships would be helpful. If you don’t have issued patents yet, state how many patent applications you have filed or are planning to file. Providing us your strategy is better than a simple yes or no. Provide enough information but don’t go over-board. Spend more than 5 minutes on this application, but don’t spend 5 hours. Your answers should be brief, but reasonably detailed. We have received hastily done applications that lacked key information—which quickly received a low score and didn’t make the cut. The questions are all straight-forward that you should be comfortable in answering and have down pat. Remember, your executive summary should include answers to many of these questions already. Send us your marketing material. Overall, applying for the Innovation Challenge is great practice for fundraising companies. For those who have yet to apply, be sure to take note of these suggestions and apply here before November 18th!